@bsolute Aircon Pte Ltd - Blog: What Causes Aircon Light To Blink? What Causes Aircon Light To Blink? Aircon light blinking is a common problem in homes that have air conditioners in Singapore. However, if your home is located in a place that has high humidity and temperature you will agree that an air conditioner that is functioning properly is a basic necessity in your home. If the air conditioner malfunctions just for a few minutes, the comfort of your family is disrupted. In most cases, an air conditioner will malfunction completely after the light starts to blink. There are cases when the air conditioner even goes off before a technician arrives to fix the problem. Fortunately, you can identify the cause of aircon light blinking on your own and then contact a technician with sufficient and accurate information. The light of your aircon can blink due to various reasons. Some causes of light blinking are possible to fix on your own while others require help of an experienced HVAC technician. · Loose connection: Loose connection in your aircon can cause the light to blink. This can be caused by a tripped circuit breaker. 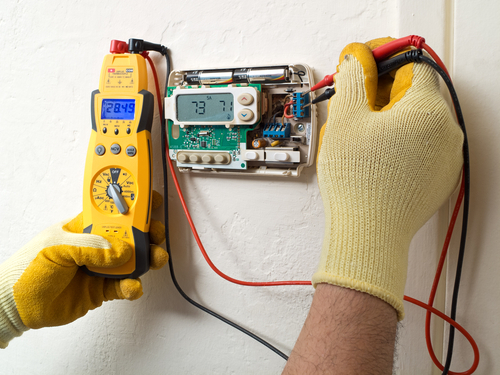 This problem can be solved by replacing the fuse of the breaker and resetting it. Wiring connections can also be loose in the air conditioning unit. You can join such wires on your own but if you do not know how to do it, call a technician immediately. · Cooling level: Low charge of a refrigerant can cause the light of an aircon to blink. For old air conditioning units, temperatures below 18 degrees can affect the refrigerant negatively. This can cause the light blinking and inadequate cooling. · Failure to service the condenser: If the condenser is not serviced properly and regularly, air circulation is eventually blocked. This increases power consumption which can cause aircon light blinking. To avoid this, the condenser should be serviced every year. · Hiring unreliable technician: Unreliable technicians or companies lack the necessary expertise to install and fix problems of aircon units. This implies that when installing or fixing problems of your air conditioner they do not exercise the caution required and this can have disastrous effects on the aircon. · Poor maintenance: The entire unit needs regular checking and maintenance to enhance its performance. This enables you to detect any fault on time and have it fixed by a reputable technician before it worsens. · Lack of purifying filters: Purifying filters purify air that gets into your home through the air conditioner. They ensure that your home is always supplied with fresh and healthy air. When filters are not functioning properly or if they are damaged, your aircon light can start to blink. · Inadequate air circulation: Inadequate air circulation causes ice to form on the windows and doors of your home. This implies that your home will no longer have fresh air. · Leaking: A leak in the refrigerant can make the aircon light to blink. This problem cannot be solved by adding a refrigerant. 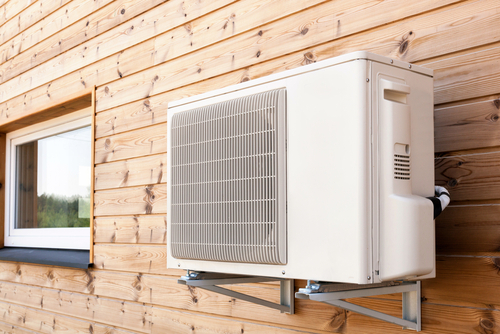 Instead, your air conditioner should be checked by an experienced technician who can easily locate the leak. Once identified, the leak can be fixed or another refrigerant added depending on its nature. · Circuit board problems: A problem in the circuit board can cause blinking of the aircon light. However, such problems are hard to fix and only an experienced technician can fix them properly. If some of these problems are not fixed on time, they can cause a sudden breakdown of the aircon. Therefore, it is advisable to be keen on the performance and behavior of your air conditioner. If you notice that the light of your air conditioner is blinking, the first thing that you should do is to switch the circuit breaker off and then on after some minutes. The aircon will continue operating normally if the unit does not have a loose connection. If it does not operate normally, you should check for loose connections and wire them back if they are there. However, if you do not know how to do it, call a reputable technician immediately. It is important to note that wrong connections can damage the aircon further. If you cannot identify the problem using either of the ways, then use a test button of the remote of the air conditioner. This will enable you to determine the error code and then find out what is causing the light to blink on the user manual. This way, you will be able to give the technician accurate and adequate information while hiring them to fix the problem of your aircon.